New value-based care initiatives are causing hospitals to be penalized if their patients have poor health outcomes or are readmitted within a certain time period after discharge. This, combined with new IMPACT Act regulations, results in hospitals focusing on what happens to their patients after they leave the hospital. For many hospitals, this means optimizing their post-acute care network and developing effective ways to guide patients to high quality post-hospital care. However, discharging patients to a post-acute provider can be one of the most difficult parts of the patient’s episode of care. Identifying the best options for each patient that fits their personal and medical needs and accepts their insurance is challenging and time-consuming for case managers and social workers. Additionally, many patients and their families need to be walked through the selection process, but case managers and social workers struggle to do so without violating patient freedom of choice regulations. Today, most hospitals rely on paper lists to share PAC options with patients; however, these static lists don’t take into account the patient’s insurance information or specific medical or personal needs. This puts a huge burden on the case managers and social workers to either memorize which insurance carriers cover which providers or call each provider every time a patient makes a selection to verify if that provider is in-network for that patient’s insurance policy. Even if the case manager or social worker is able to identify which facilities accept the patient’s insurance, the paper lists rarely have much more information beyond name and address. This can be incredibly overwhelming for patients who feel that they have limited time to make important decisions based on very little data. Case managers and social workers are often asked to describe each provider to the patient and their families to help them make a decision. repisodic has developed a hospital discharge solution to decrease the burden on case managers and social workers who coordinate and manage discharges to post-acute care. Our platform empowers discharge planners to be reliable sources of unbiased information regarding post-hospital care so they can easily support and assist patients and their families with their decision without violating patient freedom of choice laws. Our solution, repisodic Choice™, develops a unique list of providers for each patient to ensure they get the best care after they leave the hospital. Each provider profile presented to the patient has detailed quality metrics, accreditations, and additional information about the facility in an easy-to-understand format so patients and their families feel comfortable making an informed decision about post-hospital care. repisodic Choice helps case managers and social workers easily put together tailored provider lists based on patients’ medical conditions, location, personal needs, and, most importantly, insurance policy. By enabling the user to filter providers based on verified insurance information, our solution minimizes the need for discharge coordinators to call individual providers or memorize insurance coverage lists which speeds up the discharge workflow, gets patients out of the hospital more efficiently, and optimizes care transitions. Learn more about repisodic Choice’s insurance verification here. One of our key goals at repisodic is to engage the patient in their care transition and empower them to make an informed decision about their care. For this reason, our platform provides patients and their families with a brief educational video to help them understand the importance of post-hospital care and recovery and tells them key features to look for in a post-acute care provider to help them find the right care. Our platform then presents patients and their families with detailed provider profiles with quality metrics, photos, and additional information shown in a digestible format so patients can easily evaluate each provider. Many patients feel anxious or hesitant to select a residential rehabilitation location without visiting the facility first so many of our skilled nursing provider profiles have video tours. This added marketing material helps patients and families feel more comfortable about making their care decision without visiting the location. This significantly reduces length of stay and increases discharge efficiency. Learn more about repisodic Choice’s patient engagement and provider comparison tools. 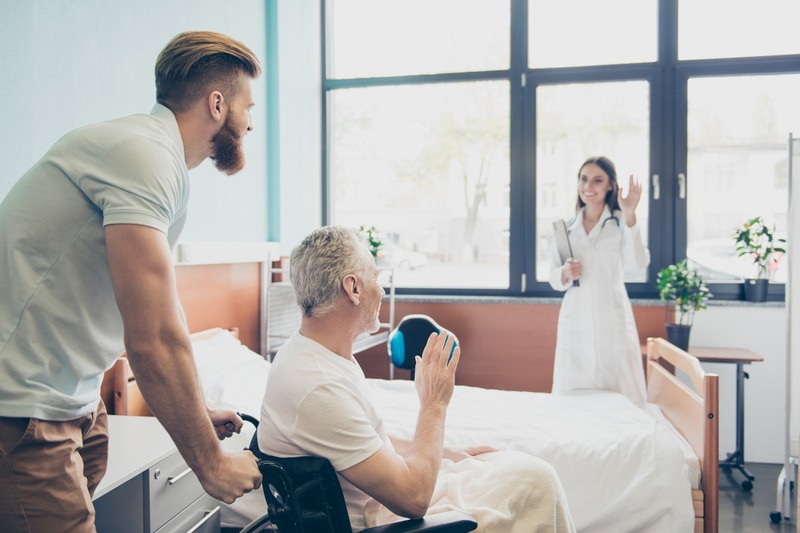 Helping an older patient make a decision about post-hospital rehabilitative care can be difficult and having the patient’s adult children around to help the patient navigate the selection process can make the situation much more manageable. Unfortunately, patients’ family members are often not in the hospital with the patient. For these cases, you have repisodic Choice. Our platform allows you to easily text or email post-hospital care options to caregivers or family members who are outside of the hospital and their selections are seamlessly sent back to you. repisodic Choice eliminates the need to call family members or send long emails or faxes with detailed information. 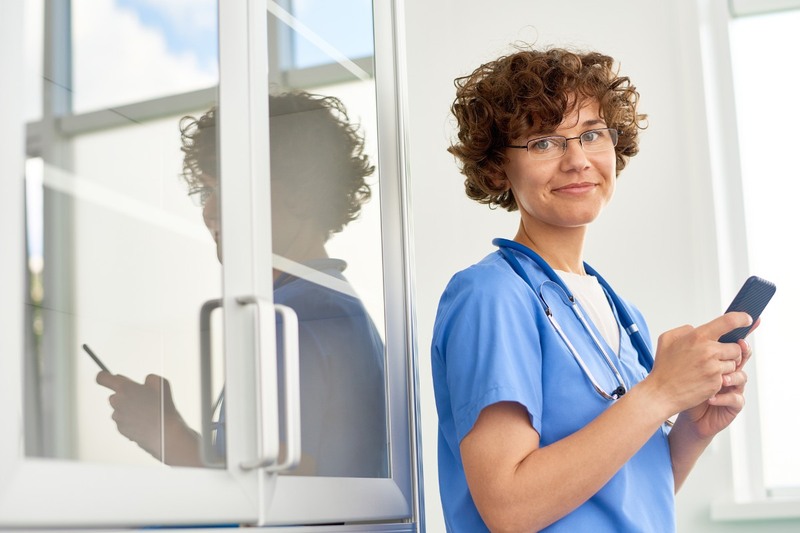 With a simple click of a button, our HIPAA-compliant software will securely deliver the unique list of providers in a digestible and easy to understand format. The patient’s family members can then browse through the provider profiles, compare their options, and make a selection all without having to travel to the hospital. Learn more about repisodic Choice’s ability to involve remote caregivers here. 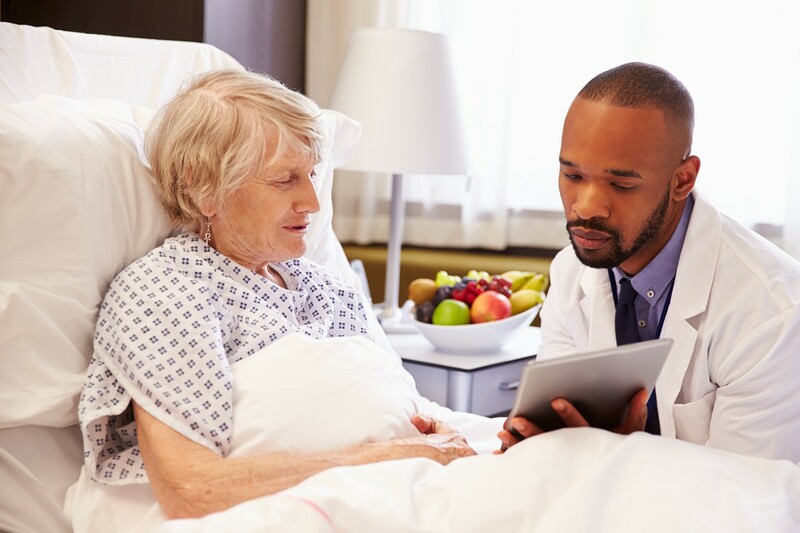 As the healthcare industry moves towards more value-based care, it’s in the best interest of the hospital to optimize their post-acute care management and transitional care services. 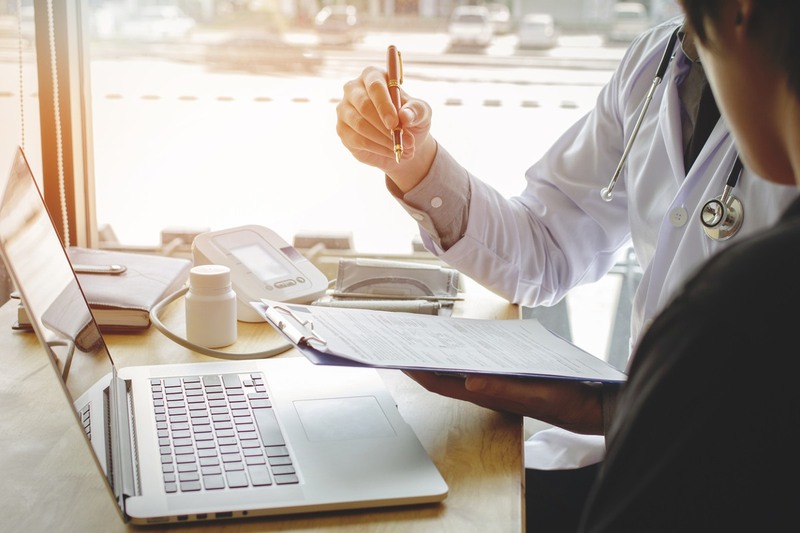 Providing clear, unbiased information in a simple and legally compliant way is a great first step in optimizing a patient’s transition out of the hospital. 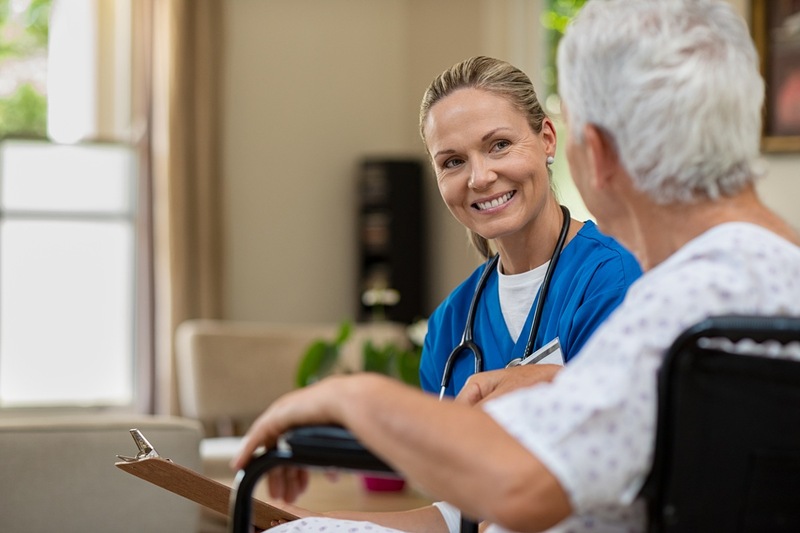 repisodic’s post-acute care management solution has increased patient satisfaction at discharge by 25% and is free for case managers and social workers! To learn more about getting repisodic Choice at your hospital, click here.